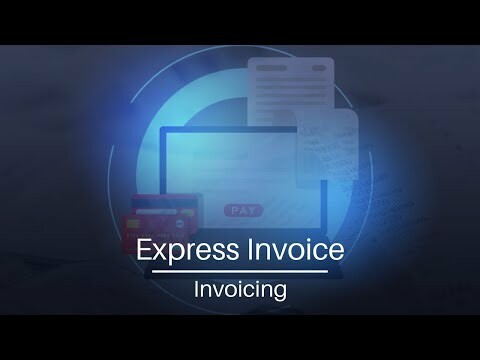 Express Invoice is an easy and simple invoicing software to manage and track billing on Mac or Windows. It allows users to create invoices, quotes and orders quickly and automates recurring invoices and templates. Businesses can easily add multiple users and enable remote access. Organizations can streamline their billing process and apply multiple tax rates for multiple businesses—all with secure mobile access to iPhone and Android devices. NCH Software is a leader in business audio technology. Since 1993 NCH software development team has released more than 80 easy-to-use software applications for Windows, Mac and mobile devices. Each software program of NCH Software is designed to fulfill a specific need, and many programs are considered leaders in their markets and have been awarded for excellence. Apply partial or full payments toward recorded invoices when payments are received. You can keep an up-to-date record of all your customers, including contact details, payment and sales history. Generate, view and print reports for unpaid invoices, payments, item sales, accounting, and more. Select from one of our professional invoice templates and customize the details to match your business. Q. Does Express Invoice support Apple mobile or tablet platforms? Yes, there are Express Invoice versions for iPad and Android tablets The iPad version is available from the iTunes store The Android tablets version is available from Google Play The apps do not include Web Access. If you would like to use Express Invoice from a mobile device in conjunction with your desktop version, we recommend purchasing the desktop version and setting up the Web Access feature. Q. Can I connect Express Invoice to Express Accounts? Q. Can I import data from .csv? Yes, you can import data from a .csv file for the following: Invoices, Quotes, Orders, Credit Notes, Customers, or Items. The steps are the same within each list type. For this example, we are importing a .csv file containing customer data. From the Invoice menu, select Open Customers List. From the Customer menu, select Import Customers from CSV. Navigate to your .csv file and click the Open button. The CSV Data Fields Preview will show the first line of your document. Click on Click to assign for each applicable field and select an item from the dropdown list that matches the Item Field. If your data does not begin on row 1, enter the correct row in the Data begins on row: textbox. Click OK to import the data. Q. Can I link Express Invoice to Inventoria to update inventory? To link Express Invoice and Inventoria, they both need to be installed on the same machine. Click Options on the Express Invoice toolbar. Select Inventory from the list on the left. Select the Allow Express Invoice to synchronize with Inventoria checkbox. Enter the Access Authentication Code. This is a code that you create. You will enter it in both Inventoria and Express Invoice. Enter the IP Address. This is found in Inventoria. Click the Options button on the Inventoria toolbar. Go to the Other tab. Click the Advanced Settings button. Make sure that the Allow Express Invoice, Express Accounts or Copper to synchronize with Inventoria checkbox is selected. Go to the Web Access tab. Select the checkbox for either Local Network: or Internet. Copy the IP address to Express Invoice. Do NOT include http:// or anything after the :. For example, if the Local Network IP Address is "http://148.111.2.33:1097", enter "148.111.2.33" in the IP Address field. Enter the Port number. Inventoria has a default Port number of 1097. Enter the Location name. Click the Retrieve Locations button to import the Inventoria existing locations. Use the dropdown list to select which location you would like to update. Click the Update Now button to synchronize with Inventoria.